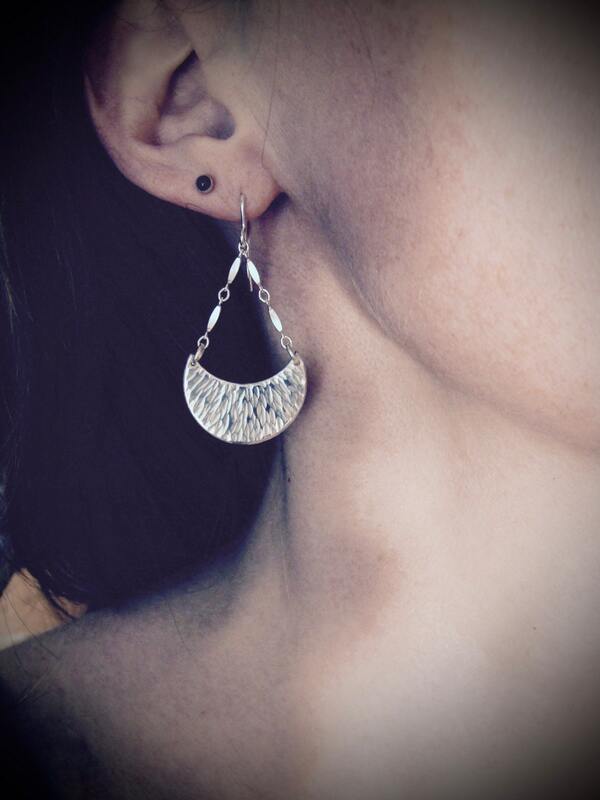 These bright sterling half moons have been textured to catch the light. 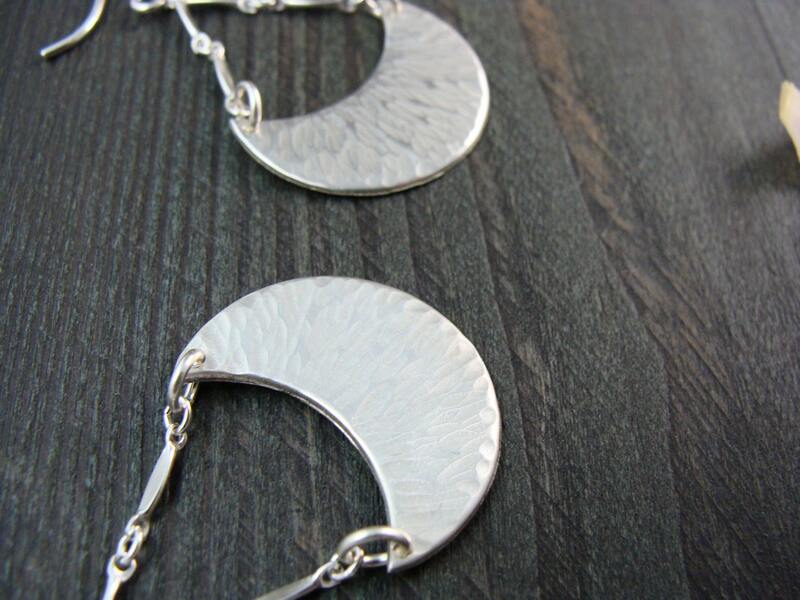 The moons sway from delicately dapped silver sections. 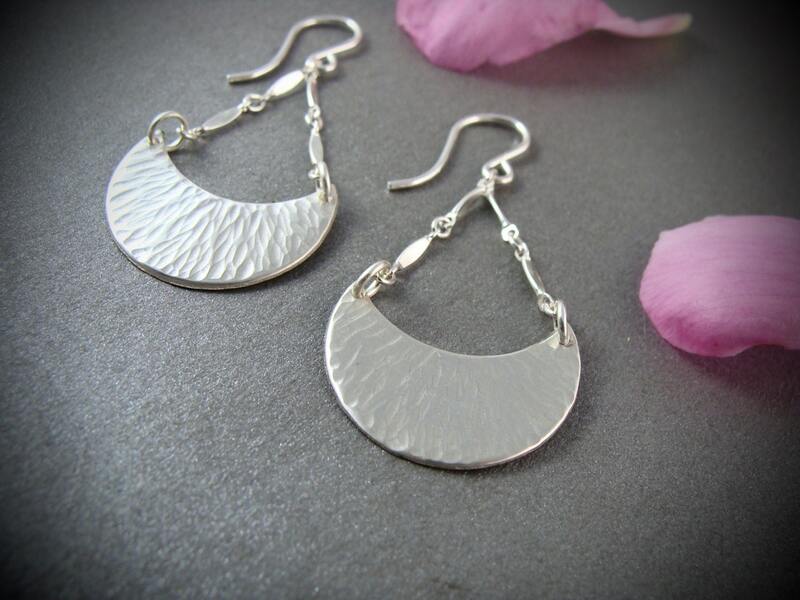 These simple earrings are versatile and lightweight. Perfect for everyday. 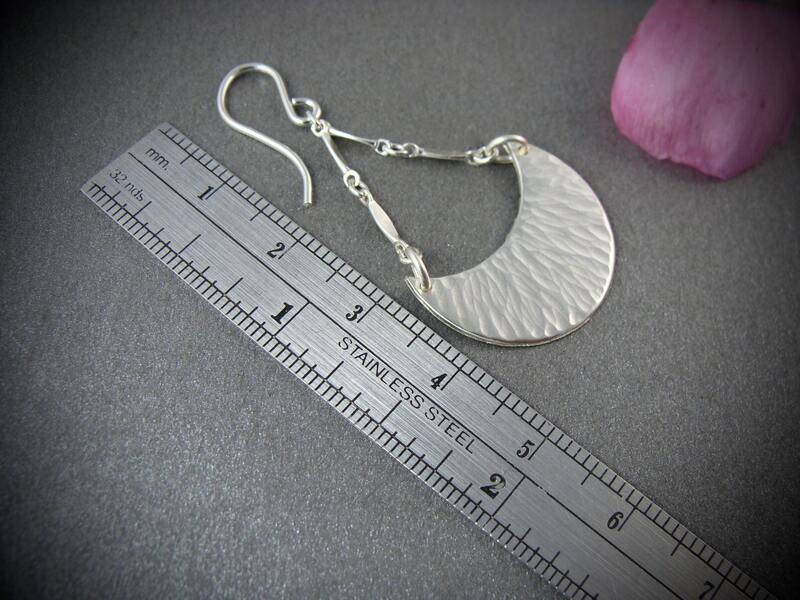 Size ~ 7/8 x 1 3/4"
Each pair is made by hand, expect slight variation. Thank you so much! Beautiful design! The earrings are beautiful. Melissa was wonderful to work with. Thank you! 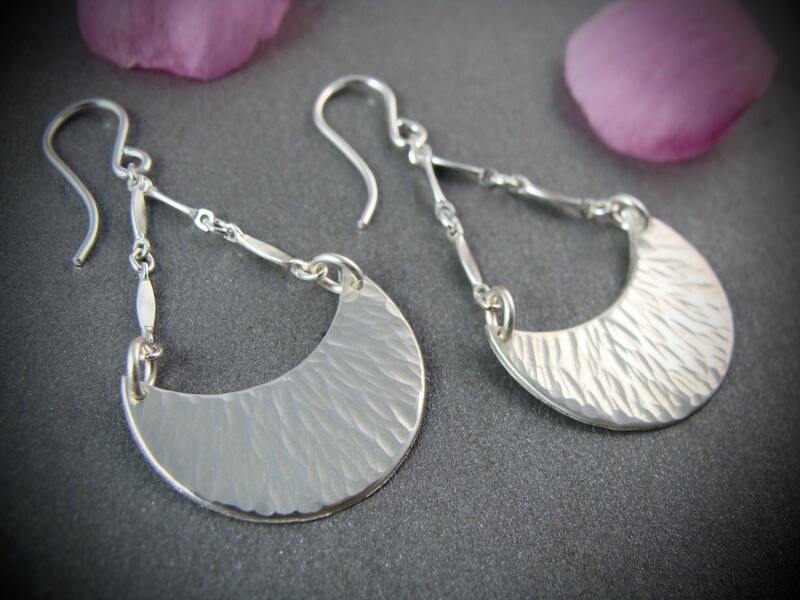 Beautiful boho earrings!!! Artistry is outstanding. Would buy again from this shop in a heartbeat. As always, impeccable design and workwomanship. Thank you!